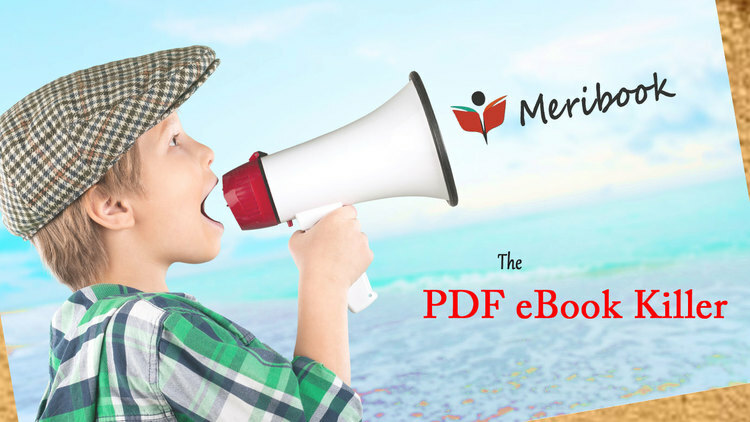 Meribook - the pdf ebook killer! Now seriously, that took some balls to claim to be the PDF eBook Killer. It's not something to be taken lightly. Nor, is it just another catchy headline to get a lead. Really, Meribook is the PDF eBook Killer! But did we need a PDF eBook Killer in the first place? What good is your PDF eBook? If you can't tell if the "user", actually "read" the information! "What good is your PDF eBook, when you use it as a "lead magnet", if it does not inform you when the user consumes the information? On what basis, do you take the next steps for your autoresponder series? Right now, we just assume that the PDF content is consumed, and send in the cavalry say 3 days after the lead magnet is sent. We all know, once your PDF eBook is delivered, it's like it has gone to the Other Side!..for good. No communication ever! - Nada! I mean really! No PDF eBook ever "called in" and said..
Hi, I am still alive and well with 20 million other pdf's in this guys catch all folder. So, don't worry about me! It's all cool. To my knowledge, no PDF eBook has done that. Nor, has it done its job ever! I mean, once "in users inbox" and downloaded, no PDF eBook has fired off a flare! Signalling..
'Hey, I 'm in. I just got consumed... Send in the rest of the team"
..Can you imagine how cool that would be! Once your PDF eBook is gone, you just assume that the user took the time to consume it in the 3 days you allotted him, without him knowing. Yep, that's how most businesses currently run. So, the single most important job of your PDF eBook is to report when the information is consumed, we can't assume consumption. What's amazing is the PDF eBook fails miserably every single time because it is just NOT designed with that functionality. Still, we keep shoving out PDF eBooks, to our users' inboxes as "cannon fodder" and are happy with whatever we achieve. We have analytics for opt-in rates, but nothing for whether or not the user reads the PDF eBook. How Meribook - Killed the PDF eBook! Meribook Can Inform Us When The Information Is Consumed! Shouldn't that be a "lead magnets" - One And Only Job? Unlike PDF eBook, Meribook is "designed" With Functionality To Inform When Information Gets Consumed! Before, I explain how that's done. The First part of lead magnet is actually "creating" the Lead Magnet content Right? And, we all know how fun that can be... Creating a professional PDF, that reflects on your business. Organize your content in Chapters and Sections and voila, you have your "information" structured and organized in easy to consume tool. No pdf design headaches, no pdf designer expenses. Second, once the content is ready, how do you "deliver" now that PDF eBook has been put to sleep? And it does not go over to the Other Side! Think of each "book" inside Meribook as a "mini" site. You can give users who 'sign up' access to your "lead magnet" content..
You can update your "mini" site, and make sure even your old leads have the latest information! Creating a "connection" is again simple as 1 2 3. Just Click the Meribook Connect button and create a campaign. Take the embed code and put it anywhere you put the autoresponder code. When a visitor submits their email, the user is "subscribed" to your book. View access is given to the user. If a new user, an account is created and informed accordingly. With Meribook - You have no hosting headaches, no website to maintain. YOUR "meri"Book (lead magnet, PDF eBook replacement) now resides in the user's 'subscriptions" tab. YOUR content, is no longer lost in a folder on some machine. YOUR "meri"Book has a better chance of consumption as users spend more and more time in their productivity app. Still wondering how Meribook killed the PDF eBook? If you have your Book configured with FB pixel in your Meribook Connect settings, you can now track your content consumption by creating a Facebook custom website audience. Once that FB pixel in fired, you can send in the re-targeting cavalry, your trip wire offers etc. See, there you have it. Easy peasy. Three simple steps and "meri"Book killed the PDF eBook, which failed to do its job in the first place. Clearly, a well deserved title for making things right. Meribook - The PDF eBook Killer! What? Don't have your own "Meri"book Account Yet? You can get started here, and make things right. Click here to sign up for a free account. ALAUDDIN AHMED WROTE this on Dec 22 There are 0 COMMENTS. Meribook - a re-imagined documentation and distribution platform to speed up your content marketing process! Meribook integration with clickfunnels - lead management redefined! Meribook connect - share your knowledge with the world in 3 simple steps! Meribook connect! the pdf ebook killer's networking feature. Holidays, weddings and meribook - the pdf ebook killer! and the three things they have in common. Freemium or trial - lesson learned form bitbuckets model. Bitbucket issue tracker and lessons learned on the meribook project. Meribook for freelancers - 3 steps to organize everything that comes your way! Startups 'vision and strategy' is key to success! and we all know it's easier said than done. Learn faster and retain 90% of what you learn! Online note taking software thats as unique as me, myself and i - meribook!